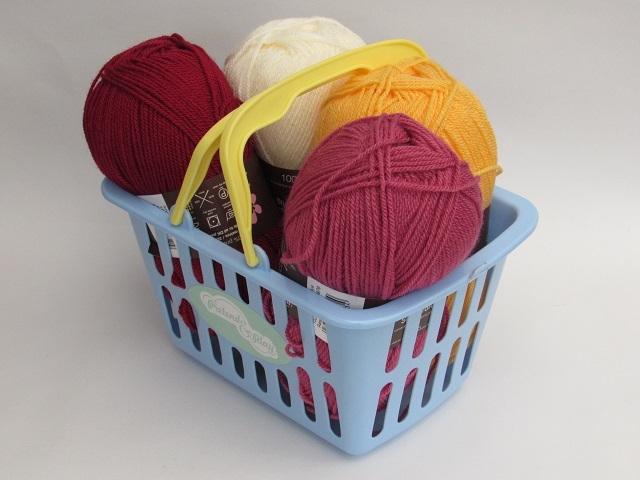 The socks fit feet sized 5 up to UK size 8. 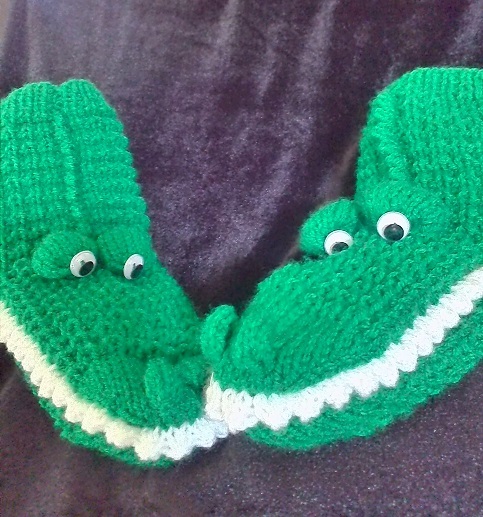 The Socks are knitted on 2 pins, the teeth are knitted on a circular needle. 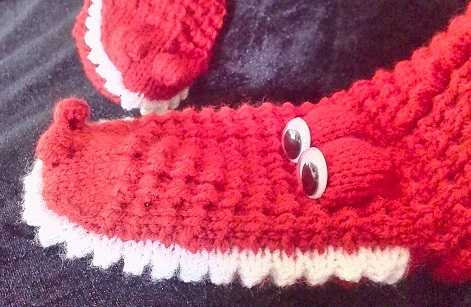 The eyes are sew on wobbly eyes to give the sock face a fun look, but you could also use buttons or embroider on eyes. 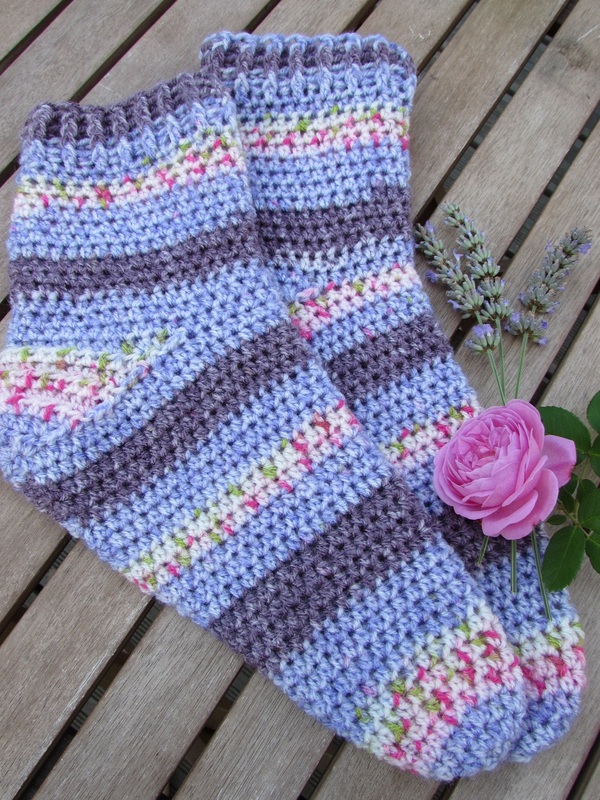 The pattern is easy to follow and the socks are quick to knit.